Established in 1983, Dentistry with Love was started by Dr. Garry W. Love to provide the Columbia community with quality dental services in a warm and welcoming environment. Over the years the practice has grown and expanded to better serve our many patients and their families in the area. We make it our mission to provide every patient with the necessary dental work to help them achieve the smile they have always dreamed of. With a caring staff and state-of-the-art facility, we have been able to fulfill this mission for hundreds of patients. For dental work you can trust for the entire family, call us at 931-388-4670 to make an appointment today. We look forward to the opportunity to assist you with all of your dental needs. For dental work you can trust for the entire family, call us at 931-388-4670 to make an appointment today. We look forward to the opportunity to assist you with all of your dental needs. 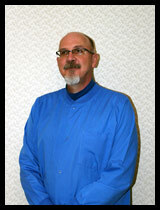 Dr. Garry W. Love - Dentist in Columbia, TN - All Rights Reserved.